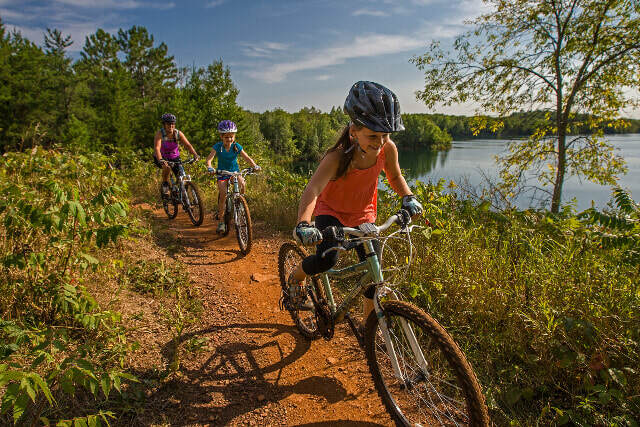 ​If you went to a mountain bike trail, especially an urban one, and you took pictures of the people biking down the trail, these are the type of pictures you would come home with: friends and families out in nature on bikes, having fun together. This image won't sell magazines or flavored sugar water, nor will it fill a target audience with bravado. But unlike the myth of mountain biking hawked by advertisers or corporations, this is the reality. Urban mountain biking is not rarity, nor is it possible only with special circumstances. Across the United States of America, hundreds of cities and towns have made their parks, green spaces and urban wildernesses a place for persons on feet and on wheels. ​Can your city do the same? What does Knobbies in the Neighborhood help you to do? Knobbies in the Neighborhood explains, in plain language, how so many cities and towns across America have created postive urban mountain biking experiences in their public lands. 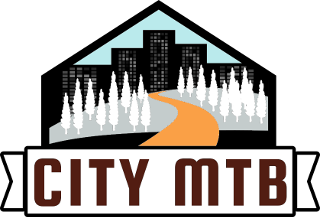 We then take the history and process of those experiences to help your city or town create its own version of urban mountain biking. We will show you how to do this without abusing stressed urban ecosystems or creating interference with existing users of those lands. ​Who is Knobbies in the Neighborhood for? Knobbies in the Neighborhood is specifically developed for average citizens, local officials, and anyone who desires to - or is curious about - adding urban mountain biking to there village, town or city. Its message and lessons apply equally to the smallest towns or the largest metropolises. What is the general thrust of the knobbies in the Neighborhood presentation? Hundreds of other cities have created urban mountain biking trails in the last 25 years. No one city, town or region is smarter than another. If one place found a solution to a problem, then some version of that solution would work in other places. To create urban mountain biking in your area without disrupting other users or negatively impacting the ecology, you don't need to invent something new. You just need to engage your citizens in applying the solutions other cities have found. How long does knobbies in the neighborhood typically last? While custom versions of the presentation can be created, for most cases the full version is recommended. Typically, the presentation lasts 90 minutes, done in two 40 minute sections with a 10 minute break between. A Q&A session can follow, if desired. The suggested process involves small table top sessions with different stakeholders and groups to discuss questions, concerns, and the full presentation to the general public and elected officials. How much does a presentation of knobbies in the neighborhood cost? Knobbies in the Neighborhood is and always will be available in a non-profit, at cost, format. That means travel expenses (train/air fare, hotel and rental car, if needed) are all that need to be covered.